To partipicate in forum, please log in and post your topic of discussion under the relevant heading. Construction design discussion topic section is reserved for is for users of all roles to post their different point of views for discussion on whether the designs of the buildings or projects that you have come across are "buildable" from all perspectives, safe for construction or end user experience, aesthetic appreciation. What's your view and experience with construction good designs and not so comfortable ones? You can contribute ideas and opinions, discuss about topics, concepts, issues or feasible solutions relevant to construction law & regulations. Strictly no advertising please. You can contribute ideas and opinions, discuss about topics and issues or feasible solutions relevant to construction management. Strictly no advertising please. You can contribute ideas and opinions, discuss about topics, concepts, issues or feasible solutions relevant to construction productivity. Strictly no advertising please. 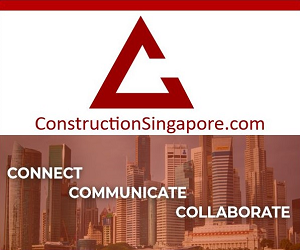 Construction Safety, Health & Environmental control and preventive measures haves greater impact on the survival of a construction business as Singapore advances into an era with more emphasis on productivity and safety conscious construction practice. Is your business ready for the upgrade? Contribute ideas, opinions, first hand experience, discuss about topics, concepts, issues or feasible solutions relevant to construction safety, health & environment. Strictly no advertising please. You can contribute ideas and opinions, discuss about topics, concepts, issues or feasible solutions relevant to construction technology. Strictly no advertising please. You can contribute ideas and opinions, discuss about topics, concepts, issues or feasible solutions relevant to green construction. Strictly no advertising please.